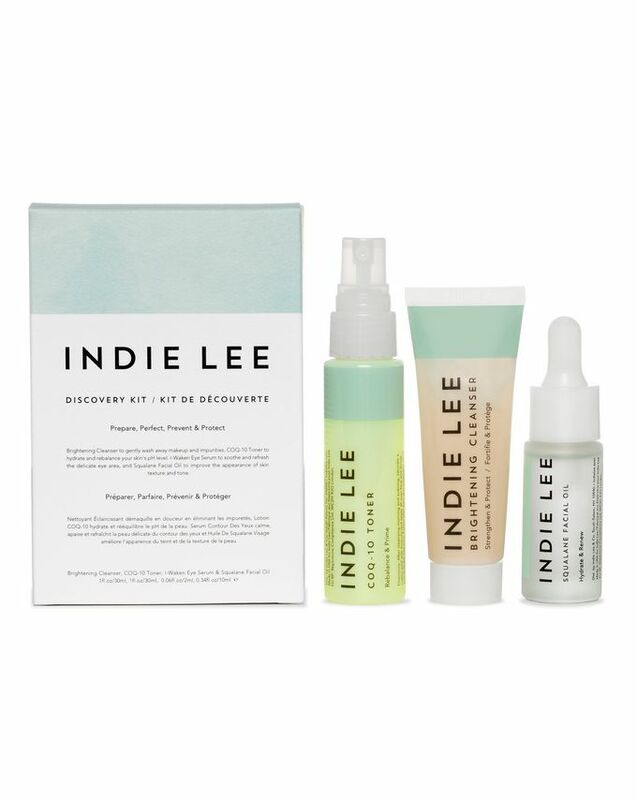 The perfect way to discover this brilliant brand – and bag yourself a perfect cleansing, toning and treatment routine – the Indie Lee Discovery Kit stars Brightening Cleanser (a fruity-fresh cleanser is ideal for all those with tired, lacklustre complexions who want to gently dissolve all traces of make up), CoQ-10 Toner (just the thing for skin that's crying out for a hit of hydration, acting more like a pre-serum treatment than typical 'toner') and Squalane Facial Oil (the go-to solution for anyone whose skin is dry, confused, mature or blemish-prone). 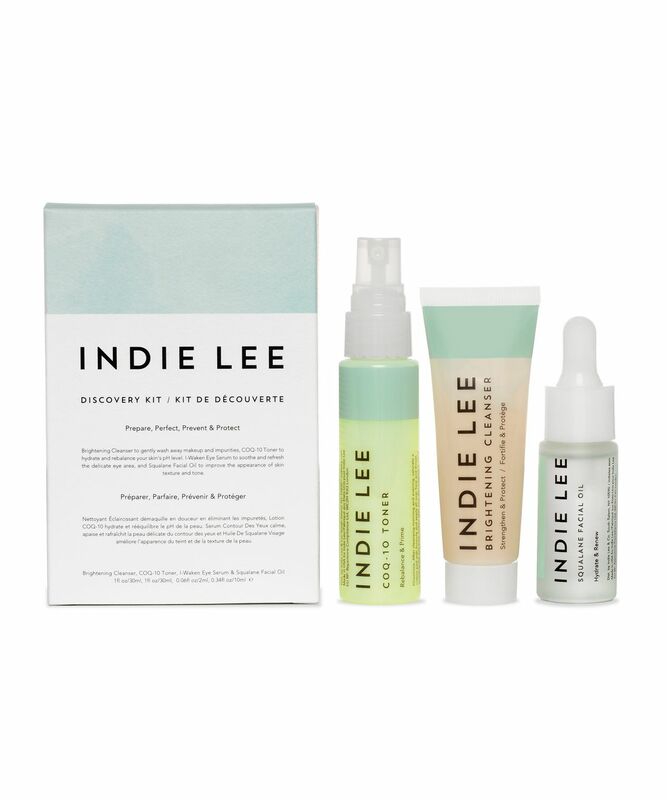 A perfect way to fall for Indie Lee’s 'eco-chic' skin saviours, this Discovery Kit stars Brightening Cleanser, CoQ-10 Toner and Squalane Facial Oil. If your skin’s feeling a little dry and tired, the luscious, all-natural cleanser will give it a new lease of life, leaving you flawlessly fresh-faced (it’s gentle enough to remove even eye make up). The cooling gel texture is the perfect way to wake up a tired complexion in the morning, while the strawberry-infused scent provides a little extra mood boost. The alcohol-free CoQ-10 Toner is just the thing for skin that's crying out for a hit of hydration - acting more like a pre-serum treatment than typical 'toner'. A potent antioxidant, CoQ-10 works to protect from (and repair) the ageing effects of free radicals, while stabilising skin's pH to leave it feeling smooth and soft. A ‘superhero’ ingredient for skin that feels stressed or imbalanced, Indie Lee's Squalane Facial Oil is the go-to solution for anyone whose skin is dry, confused, mature or blemish-prone. Like hyaluronic acid, the olive-derived squalane oil in this clever concoction helps skin to retain much-needed moisture while promoting elasticity, to leave your face feeling smooth, supple and toned. Apply a small amount of cleanser to wet face. Use with a wet cotton pad to remove eye makeup. Rinse completely with water. Follow with toner and moisturiser. For external use only. After cleansing, saturate a cotton pad with formula and gently apply all over face and throat, avoiding the eye area. Follow with moisturiser. Love the cleanser and toner. However, squalane oil broke me out.